We can make sure your construction waste bins are the right size for your project in Barrie, ON. Construction waste bins are the perfect tool for all of your construction waste removal needs. 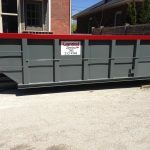 Because of the specific needs of each project, the time you need a construction waste bin might be for a single day of demolition or for a rolling schedule of demolition over many days. Selecting the right provider for your construction waste bins should depend on your needs and the speed and ease of service. Another major concern for construction waste bins is the various fees and surcharges that are assessed in addition to the fee for the bins themselves. Administrative, environmental, or fuel costs are often added after the quote, so you’re left with a much higher bill than you were expecting. Because we don’t want there to be any unwanted surprises, we’ll never tack on extra fees after giving you a quote. Bins from us at Guaranteed Services don’t accept waste that’s considered hazardous or of an immediate, large-scale, or irreversible health concern to fellow citizens or the environment. By selecting the right size of bin for your job, you can be sure that the bin will fit where it needs to fit, has the capacity for what you require, and plan for how quickly you might need it picked up or replaced. The right size and capacity of construction waste bins is very important to the success of your demolition, renovation, and construction jobs. Working with us at Guaranteed Services will make sure you have the right size bin for your job, that it’s delivered where and when you need, and that the bin is picked up when full. We offer same-day delivery and pick-up for our clients and customers in Barrie, ON. Contact us today for more information about our construction waste bins. 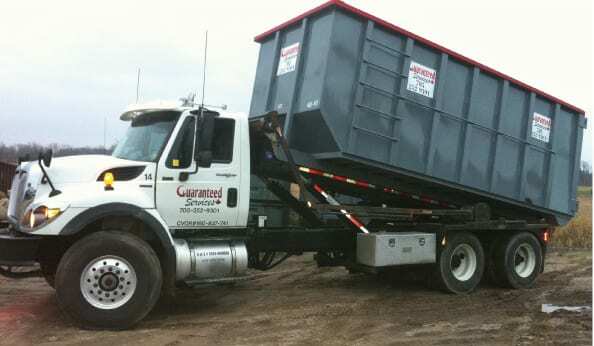 At Guaranteed Services, we offer rentals of construction waste bins in Barrie, Innisfil, Collingwood, Orillia, Wasaga Beach, Angus, Stayner, and Midhurst, Ontario.